On Saturday, Salon published an article by Steve Stankevicius that appeared to be yet another slam on the New Atheists. In other words, a typical Salon article. Those first six words made it sound like a mandate, and it invited the obvious rebuttals that atheism doesn’t mean anything beyond not believing in a god. Atheists don’t have to be Democrats, pro-choice, vegan, etc., even if many are. And the inclusion of Richard Dawkins and Sam Harris in the headline makes it sound like the author was purposely attacking them. What’s ironic about all this is that the person who seems most upset about this article and Salon‘s handling of it is Steve Stankevicius. 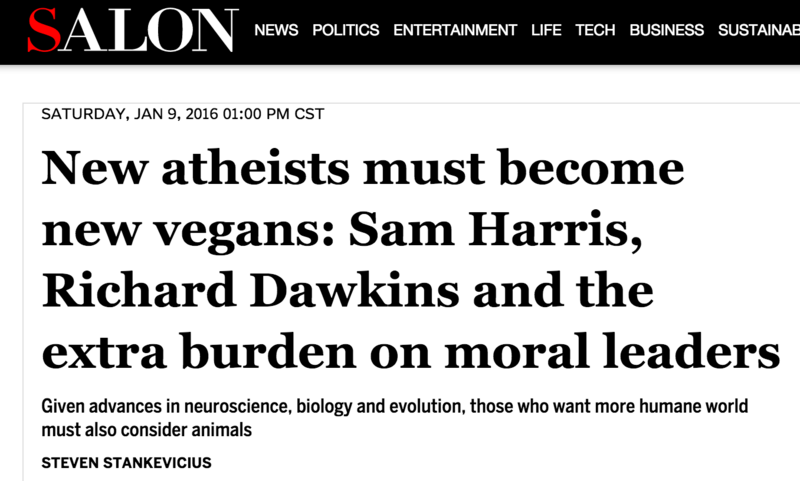 … the moral reasoning and critical thinking championed by many famous public intellectuals — including the so-called ‘New Atheists’ (apologies to those who don’t like that name) — leads to veganism. In other words, they argue for ethics, morality, rationality, and scientific reasoning: all the necessary ingredients for a vegan mindset. The likes of Harris, Dawkins, Krauss and Shermer have publicly acknowledged this, yet most seem ethically lethargic on the topic. A collective shift in consciousness is required, and these individuals could provide the much needed torque to drive the idea over some widespread mental speed bumps. All of that makes sense to me. If you believe we’re all connected through evolution, promote ideas about how science can determine human values, and believe critical thinking can help us decrease suffering, why not go vegan? That’s all Stankevicius was saying. Not that atheists had to go vegan, but that if we really believe in our convictions, there should at least be a stronger connection between atheists’ values and our choice of diet. The poster boys and girls of atheism, secularism, science and reason have done wonders for so many domains of public discourse. While they fittingly weigh in on many moral questions not restricted to religious indoctrination and its impact on human rights, animal rights has so far garnered little attention. However, the great thing about reason is that it is a tool. Reason does not presuppose its answers, but is rather a process by which conclusions germinate under the light of the best available evidence. The best available evidence currently shows that eating meat and animal products is bad for animals, our health and the environment. Many of the New Atheists and their associated colleagues have realized this; they just need to come forth into the light. If you don’t agree with him, fine. Go ahead and make the case for why eating animals and animal products makes sense. That’s the debate Stankevicius expected to have. What was intended to spark some thoughtful discussion was rerouted down a deliberately inflammatory and polarising path. Something I was wholly confident about all of a sudden made me look like a malicious freak blogging in my underpants. Would a similar reaction have been provoked given a more honest title? I don’t know, maybe. However the sheer volume of responses from people who quite clearly didn’t read much further than the first seventeen words compels one to formulate a certain diagnosis. This is the fault of Salon’s editors, who attached the headline without input from Stankevicius. 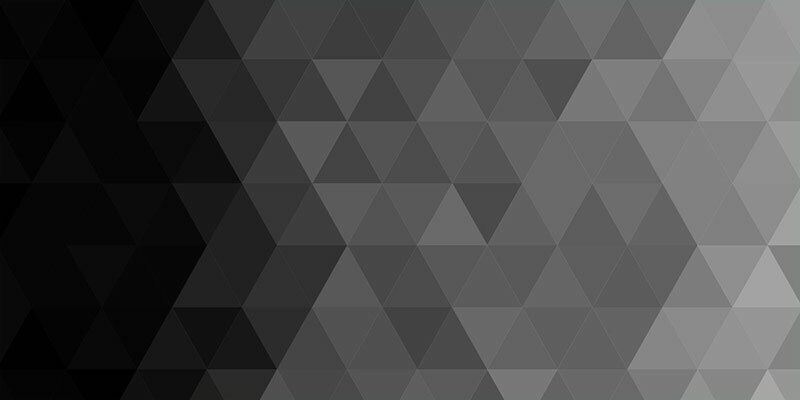 That by itself isn’t unusual, but for want of clicks, a meaningful debate was lost. It’s hard to blame the writer for this. He was aware of Salon‘s reputation, but when a large online publication gives you the chance to expand your readership beyond “the usual ten friends on Facebook” (to quote Stankevicius), it’s hard to say no. He didn’t realize his piece would be framed in such an antagonistic way.